The Chartered Management Institute is pleased to announce a live Question and Answer session with John Adair on 6th October 2011. John is one of the world’s leading authorities on leadership and leadership development. 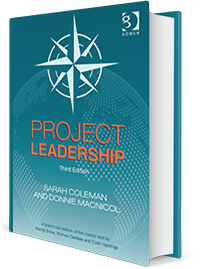 Over a million managers worldwide have taken part in the Action-Centred Leadership programmes he pioneered. John has written over 40 books, translated into many languages. Recent titles include 'How to Grow Leaders' and 'Effective Leadership Development'. Apart from being an author, he is also a teacher and consultant. His initial varied career saw him in the Army in the Middle East, as a trawler hand and hospital orderly. He was subsequently senior lecturer in military history and adviser in leadership training at the Royal Military Academy Sandhurst, and Associate Director of The Industrial Society. In 1979 John became the world’s first Professor of Leadership Studies at the University of Surrey. Between 1981 and 1986 John worked with Sir John Harvey-Jones at ICI introducing a leadership development strategy.